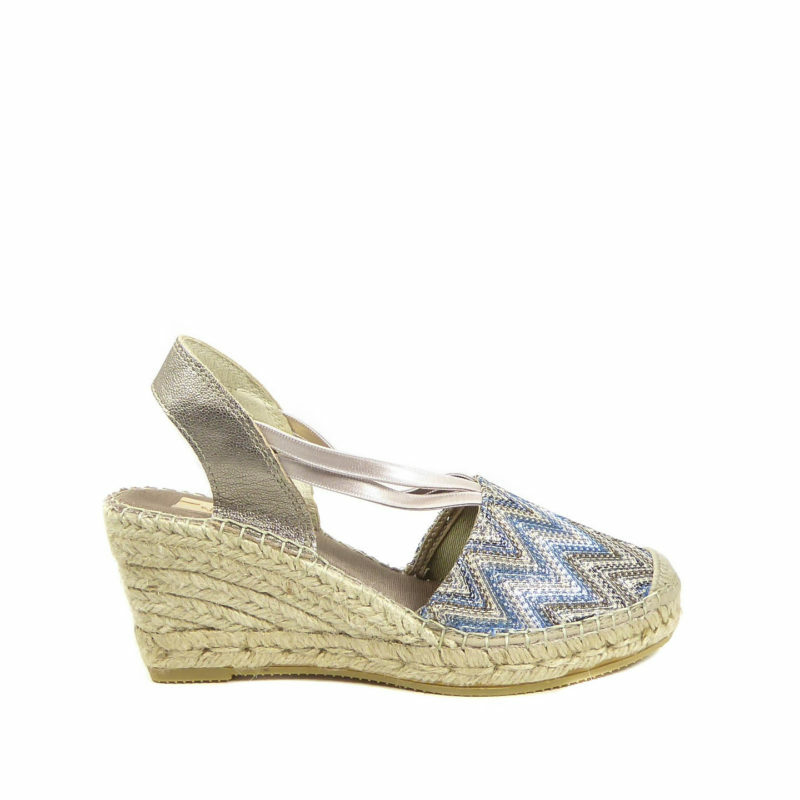 Mid heeled closed toe espadrilles with a pretty multi colour fabric upper. 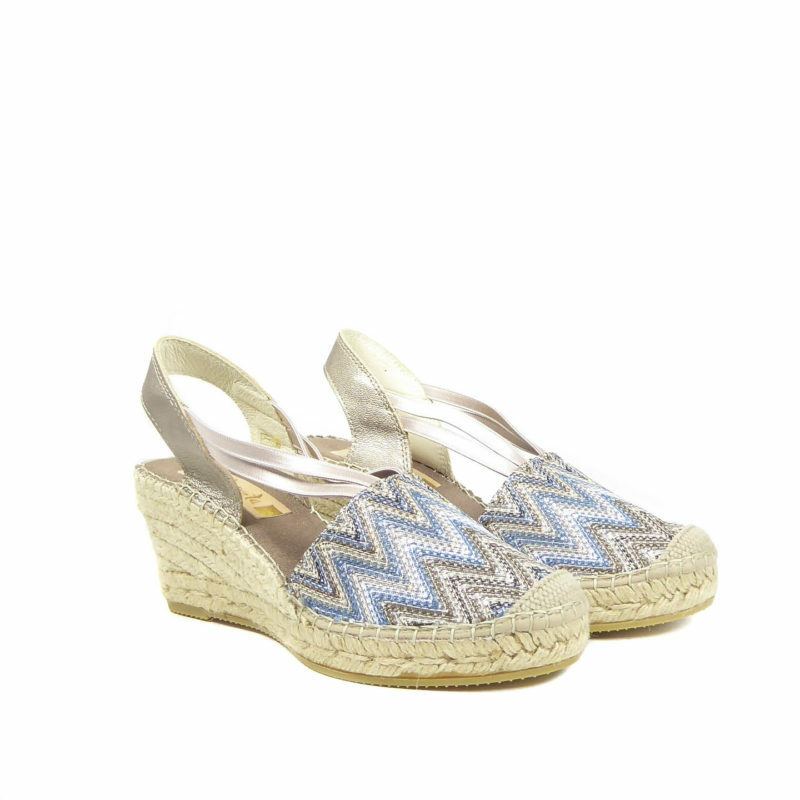 Double elastic strap and leather sling back fastening. An all leather lining and rubber sole completes the look.